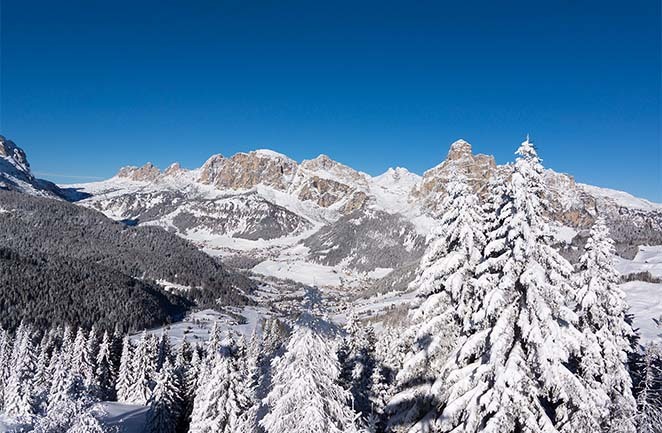 "Dolomites, the favourite and delicious Italian Dolomite mountain range for ski and walking holidays"
"...to protect a series of highly distinctive mountain landscapes that are of exceptional natural beauty..."
Hello mountain biker, walker, hiker and skier! When you go back to the beautiful scenery of the Dolomites holiday area, the paradise in the italian Alps, you come to realise the immensity of these majestic mountains. 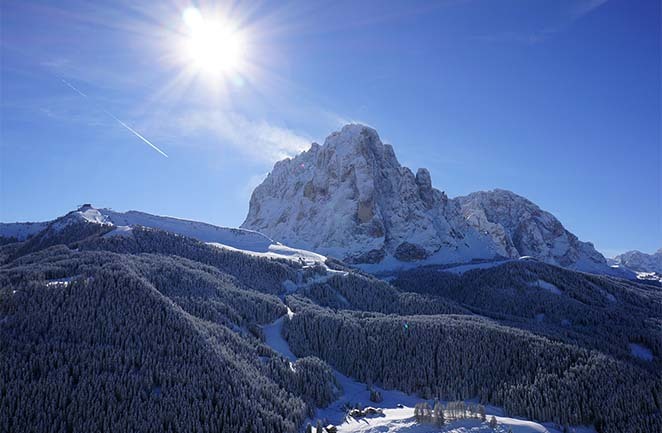 Many hotels, holiday apartments, b&b, garni, chalet, lodge are located in the favourite ski, walking and hiking resorts in the italian Dolomite mountains for skier, mountainbiker, walker and hiker: Val Gardena, Alta Badia, Val di Fassa, Arabba, Alpe di Siusi. The ski tour through the ski resorts Val Gardena, Alta Badia, Arabba and Val di Fassa in the Dolomites (Dolomiti Superski). 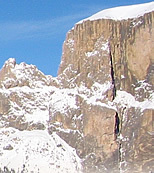 Ski rental, ski schools and snowboard hire / rental ine Val Gardena. 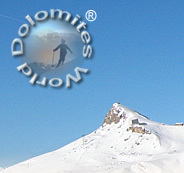 Reserve your ski-lessons, skis, snowboards, ski boots online for your next ski vacation! The first rays of the morning sun shinning on the mountain tops of the Dolomites (from June, 26th 2009 - UNESCO World Natural Heritage), in summer forcing the wonderful alpine flowers into bloom on the surrounding pastures and in winter shinning on the snow covered mountains. The final sun rays in the evening, a symphony of colour resulting in a rosy alpenglow, typical of a Dolomite sunset. Several ski, mountain biking, walking, hiking and climbing valleys are connected with each other in this wonderful mountainous paradise, offering a breathtaking scenery from many different angles. The well marked footpaths and ski runs and the possibility of skiing, mountain climbing, walking, hiking and also mountain biking will make your stay an unforgettable experience. 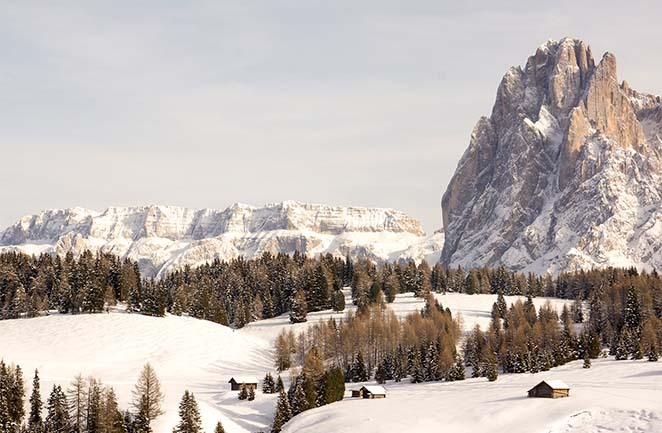 Perfect for your mountain holidays in the Italian Alps, in South Tyrol, Trentino and Belluno.